Traveling To Lombok, Visit The Gilis! Traveling is deadly dope to kill any kinds of stress. Luckily, living in such a beautiful island is a fortune for me. Lombok! It is the next door of Bali. Located in West Nusa Tenggara province, Indonesia, Lombok has been the most visited destination in recent years. 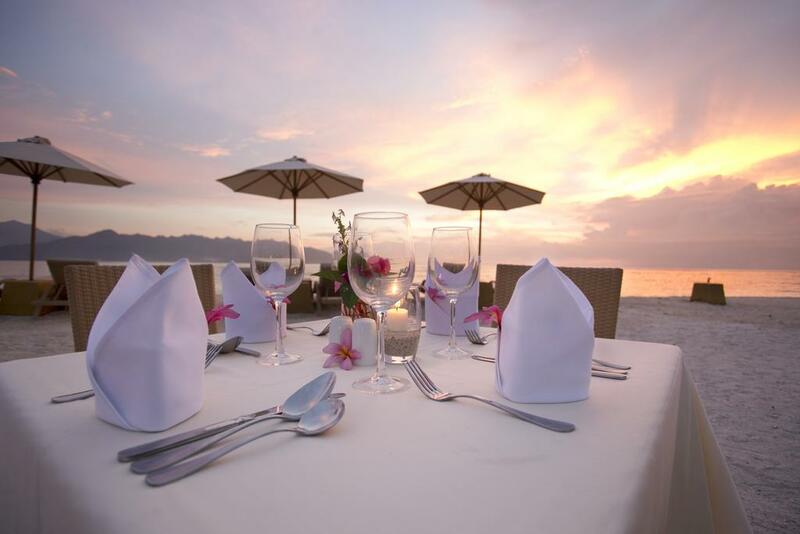 Lombok offers endless destinations with various spots and attractions. If you've never been in Lombok, you're a dead man. You'll be amazed by the stunning Gilis, shocked by the majestic Mount Rinjani, jaw-dropped by the enchanted waterfalls and many more! Let's take a look at each destination I recommend for you who has never been in Lombok. Known for three small islands that stand in line and create such beautiful paradise. These small islands has its own name, they are Gili Trawangan, Gili Meno and Gili Air. Let's find out more about each gili. Gili Trawangan is the big brother of two others. It allows you to enjoy perfect beaches, delicious foods, mesmerizing sunset and sunrise and of course the night life--party. If you're coming from Bali, you can reach it by speedboat and takes you about one and half hours from Padang Bai with around IDR 500k one way. While from the mainland, Lombok, you can access via Teluk Nare port with only around IDR 350k one way. Or the last option via Bangsal port with the public boat (slow boat), it costs around IDR 50k for 30 minutes on the boat. When you stepping in to Gili Trawangan, you'll discover thousands of tourists from around the world. It takes you to the feeling of living in paradise. The locals are so friendly. Their pure smiles will make you feel like home. White sandy beaches dominate throughout the island. No engined-vehicles are allowed. Bicycle and cidomo (traditional transportation) are allowed. You can ride along the island and enjoy the enchanting panorama nearby the beach. Hotels, villas, restaurants and bars, home stay and many more. 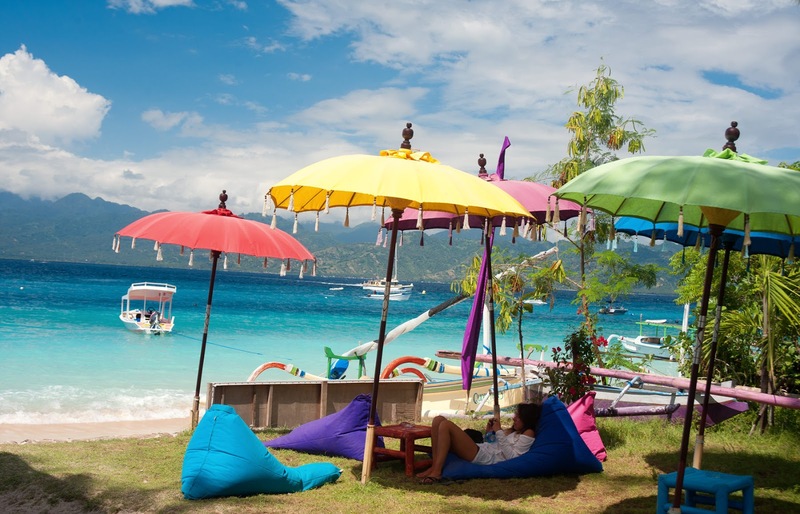 You'll never lost in Gili Trawangan. The aquatic world offers you an experience of snorkeling and diving under the sea and discovering the beautiful fish, corals and reefs. You'll meet the turtle as well. This one is one of the best. 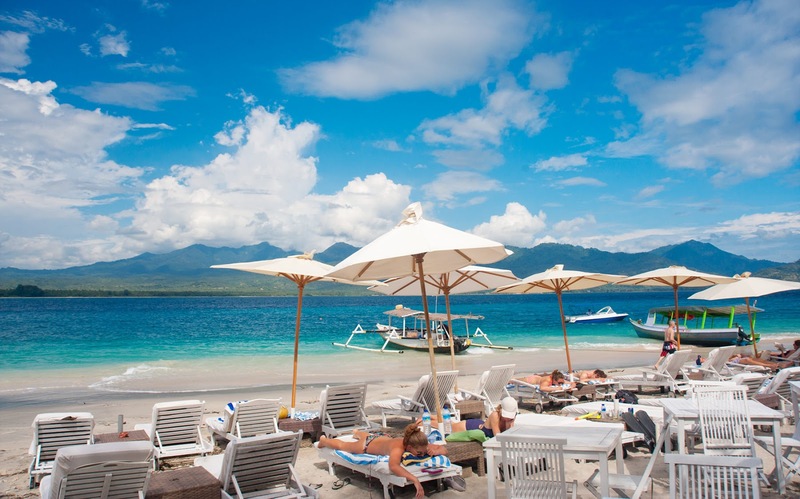 The island slightly looks alike Gili Trawangan yet offers you something else which is more than just beauty. Gili Meno known for its snorkeling and diving spots. You can pick your favorite. Snorkeling and diving are in one package (usually), and the organizer will take you to the most stunning spot. Since Gili Meno known for its diving attraction, a beautiful spot is provided to add the best sensation. Numerous statues are placed down below the ocean with circled form which is fantastic. You can snorkeling or diving into this spot. Make sure to bring water resistant camera to get the best pictures. The little brother is quiet one yet wonderful place. It is not as crowded as both Gili Meno and Gili Trawangan, Gili Air is a silent remains peace. The comfortable and silent allow you to have such a peaceful holiday. 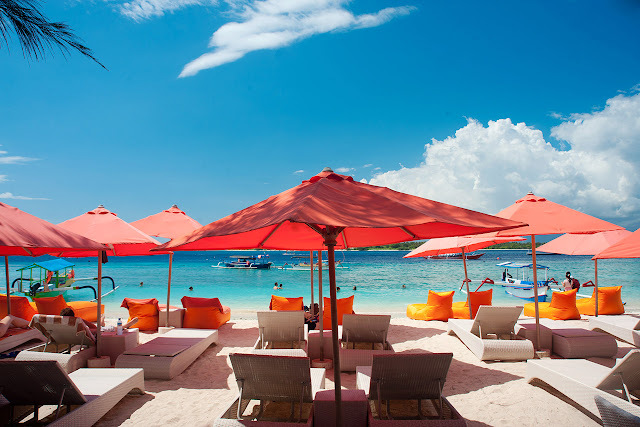 If you're a silent blood type person, Gili Air is a must visit place. The beautiful island and peaceful environment will let you to get the best experience. These three beautiful islands can be accessed both via Teluk Nare and Bangsal port in North Lombok. Just plan your holiday and visit The Gilis. I bet you won't go home!